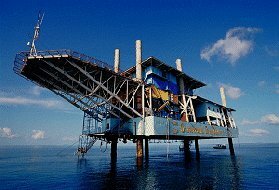 Seaventures is a Dive Resort made from a converted oil rig offering the perfect location for non-stop diving. 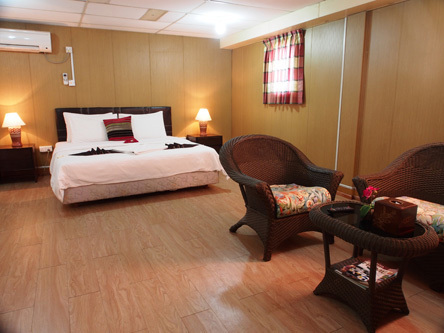 Seaventures is located next to Mabul island and offers comfortable air-con rooms. Seaventures is itself a famous dive site and offers unlimited diving under the resort. The dive packages at Seaventures include unlimited diving at its own famous dive site and house reef (just below) as well as guided boat dives to Sipadan, Kapalai and Mabul islands. Diving at Sipadan with Seaventures is an all-day affair that offers far more than just one dive. Departing as early as 6 am, divers could be in for a treat watching the odd-looking bumphead parrotfish school moving from Barracuda Point to Mid Point in search of breakfast. If they’re lucky, divers might get the chance to see them swimming back across the reef, munching the corals as they go. An early start to Sipadan means that divers can enjoy a beautiful sunrise and cram 3 fantastic dives in before lunch time, and all that before the dive sites get too crowded. 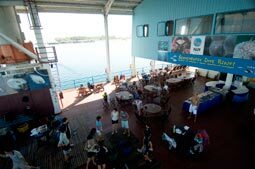 Divers can opt for a hearty lunch at this point or choose to go back to Sipadan island for 2 additional boat dives! The Seaventures House Reef and the dive sites at Mabul Island are also options for those who have spent the morning at Sipadan. 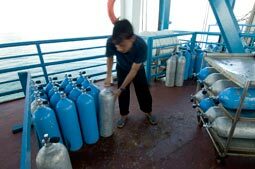 Seaventures is a PADI 5* IDC Resort offering technical diving such as cave diving at the infamous Sipadan's Turtle Tomb. 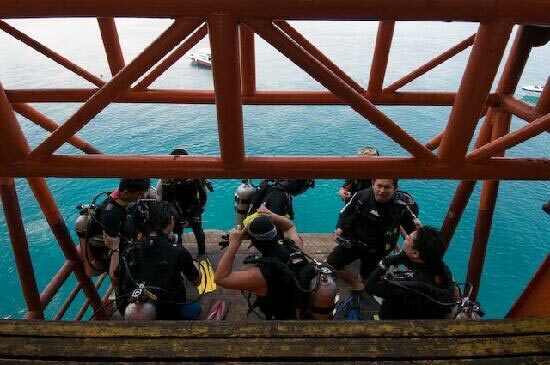 The course director also offers dive courses up to PADI Instructor Devellopment Courses and Tec Instructor Courses (Tec 40, Tec 45, Tec 50, Tec Deep, etc). 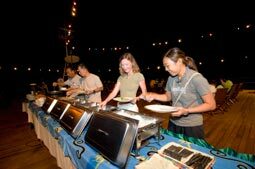 The restaurant is located on the open deck and offers delicious food and beverages - buffet style. Fresh coconuts are available. Other facilities include a movie room, a karaoke lounge and bar, pool tables, table tennis, a souvenir shop and a conference room. There is broadband Wifi access and a camera room for your UW housing and strobes. Seaventures Dive Resort offers 28 well-furnished air-con twin and double rooms and 2 larger VIP Family rooms for that extra bit of space and additional comfort. There are 4 room types for guests and aims is to cater to a variety of budgets. 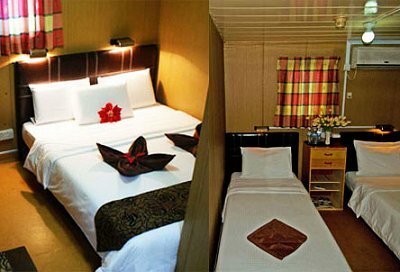 There are 16 standard rooms with twin beds and 7 standard rooms with double beds. For a small increase in price, you can get a much larger room and additional home comforts with 1 of 2 VIP rooms. For divers on a budget, there is also a quad sharing dorm room. Prices are subject to change and availability, rates vary according to the type of room.